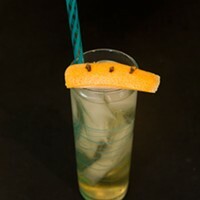 Earlier this year, CL writer Keia Mastrianni wrote a piece on the lack of non-alcoholic cocktails, or mocktails, in this city. You know who stepped up to the plate? The Asbury, that’s who. The Uptown restaurant inside the Dunhill Hotel added two official mocktails to its menu in response to a sober writer’s outcry. All we need now is a free dessert program and we’re all set!